Harleyford Golf Club is set in truly magnificent surroundings, nestled by the River Thames at Marlow. Beautifully crafted in a natural parkland setting, the 6,903 yard par 72 course is both challenging and rewarding to players of all levels. The course is located on the Harleyford Estate which dates back to the 12th century and is designated as “an area of outstanding beauty”. The Clubhouse has been developed on a theme from the Victorian farm buildings and provides fantastic facilities for any of your Clubhouse needs. Challenge your friends & colleagues at one of the Top 10 t golf courses in Buckinghamshire. 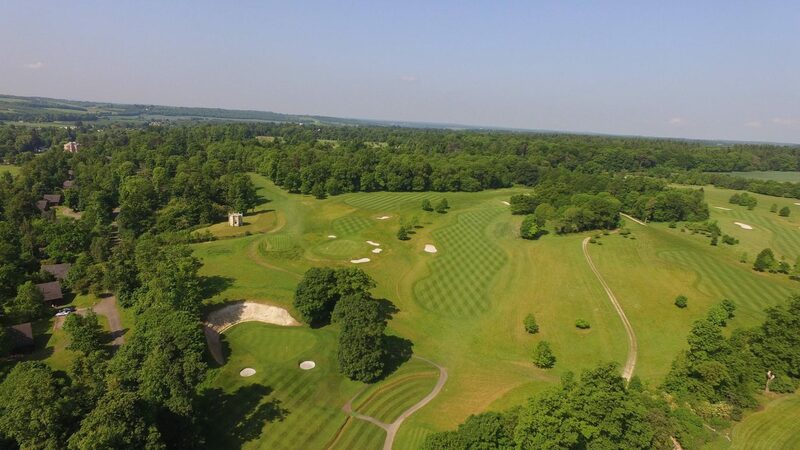 The course layout at Harleyford has a knack of challenging the most experienced of players as well as enthralling the enthusiastic beginners. There’s nothing like a bit of healthy competition in golf, for that reason we have developed a few packages and ideas that add to the great atmosphere of a golf day. Pitch your teams against each other and really get the competition going with our prize packages. Our sales & events team can help to create a bespoke package. All of our packages are competitively priced and allow for you to enjoy one of the best courses Buckinghamshire has to offer. We believe the best deals are made out on the course. Treat your clients & colleagues to one of our corporate golf days with packages to help you impress those all-important clients you’re entertaining. Starting at £40.95pp including arrival refreshments & 18 holes of golf. Ability to tailor make your package to suit your group . Ask the team about our prize packages to add that extra bit of competition. Directly in-between the M4 & M40, just of the A404, Harleyford Golf Club has easy access from all areas of the South East. From £35 on weekdays and £40 on weekends & bank holidays. Please contact the club for a list of local recommendation and offers. 250 yard driving range and chipping area. Two practice greens (USGA spec to match the course). Practice balls. Spacious clubhouse. Showers. Meeting & dining rooms.